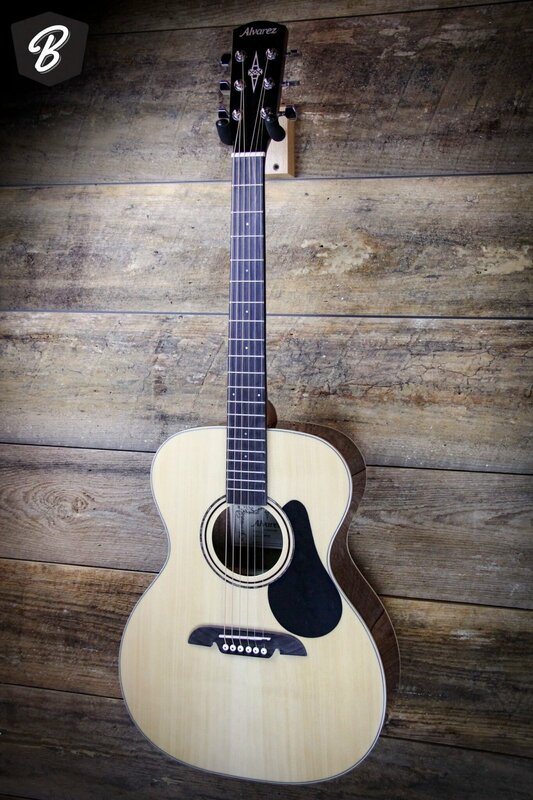 The new Alvarez RF26 acoustic guitar is the folk or concert size of the RD26. It has been designed to deliver outstanding tone, response and playability. It features a scalloped bracing system that delivers the best sound available from laminated top construction. Advanced production techniques are used to make the RF26, and deliver more features, better tone and make it a great value in entry-level guitars. It responds and resonates very well and will surprise even the most experienced acoustic guitar player. When you play a note, the guitar produces a tone with depth - rare for laminated construction design. The Alvarez RF26 acoustic guitar offers you excellent value and appeals to players from beginners to advanced. It features many of the Alvarez unique design features found in their high-end guitars. The Alvarez RF26 ships with a deluxe, duo-foam gig bag.